There are several options that influence Google Site Map creation and content. 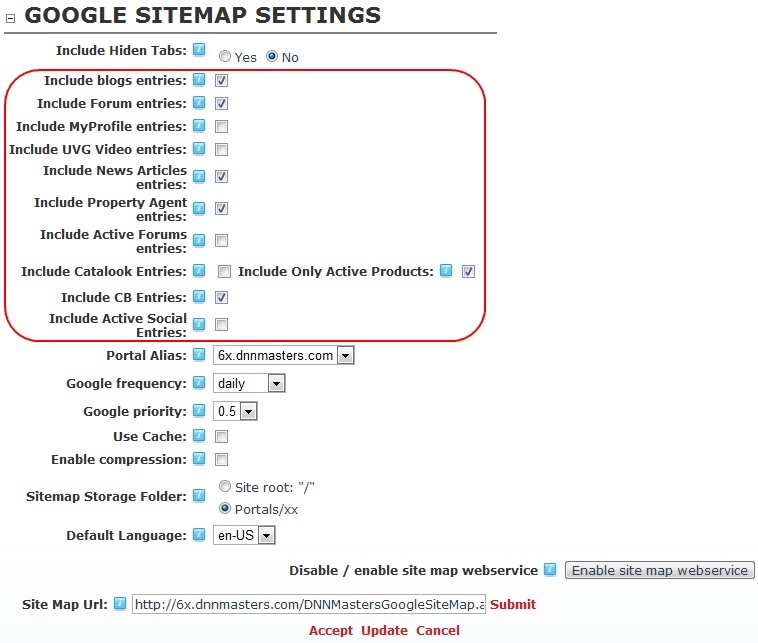 • Disable/Enable sitemap web service - the web service must be enables for the Google sitemap to function. Click the button to enable / disable. • Sitemap URL - url to access sitemap and register with Google. The Submit link helps you to register the sitemap.